North West and Penelope Disick Celebrate Their Birthdays at ‘Moana’-Themed Party! Let them eat cake! 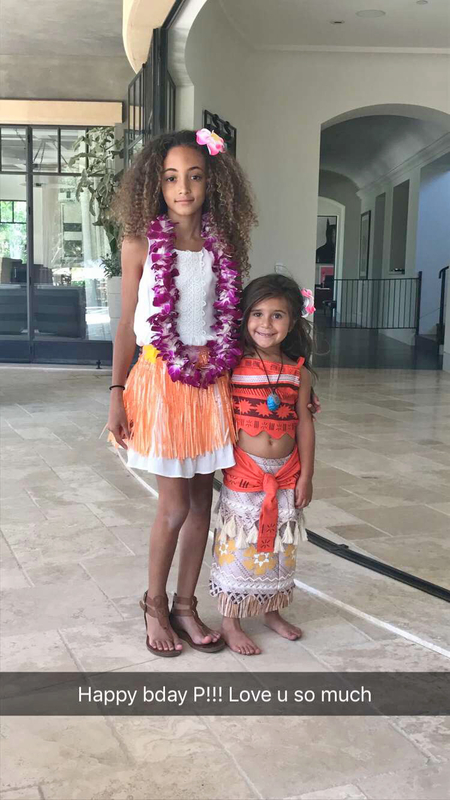 Adorable cousins North West and Penelope Disick celebrated their birthdays with a Moana-themed party on Saturday, June 24, in Los Angeles — complete with matching three-tier cakes! 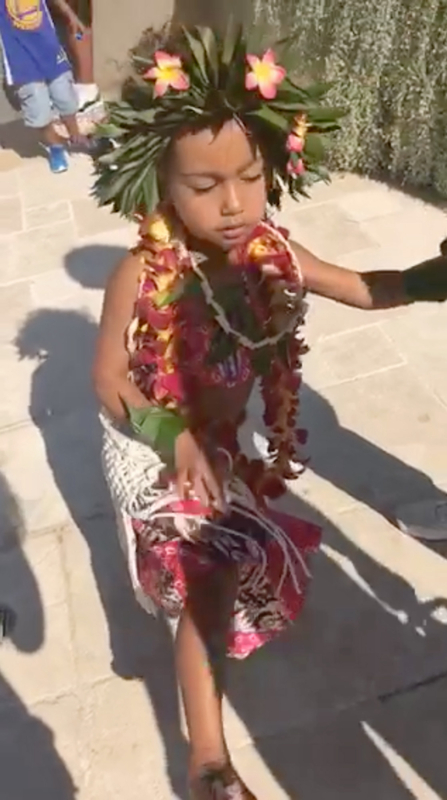 The birthday girls were dressed to impress, with North wearing a bright lei and Hawaiian-style flower crown and Penelope channeling the animated Disney character in a dark, long-haired wig and a replica outfit. 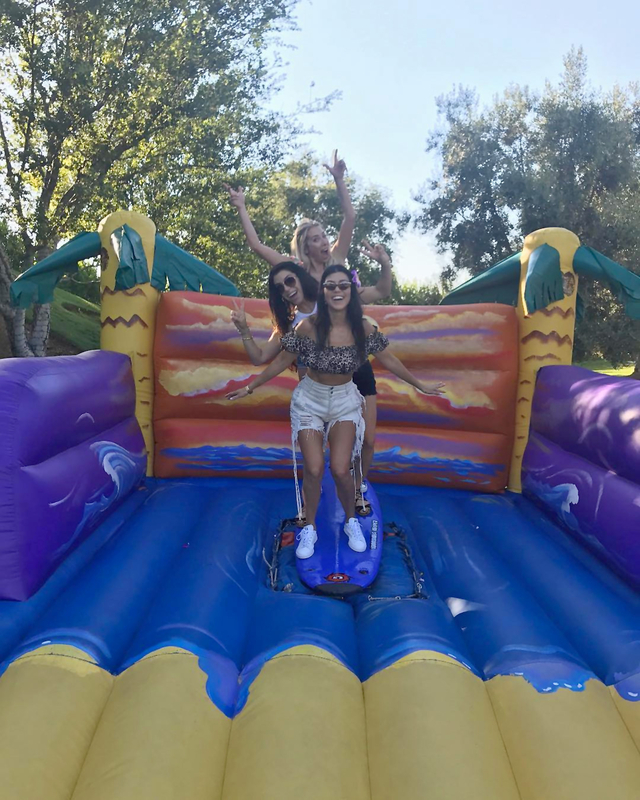 Party guests — which included Larsa Pippen and Jaden Smith — mingled, while Penelope’s mom, Kourtney Kardashian, and two pals goofed around in a colorful bounce house that was adorned with palm trees. 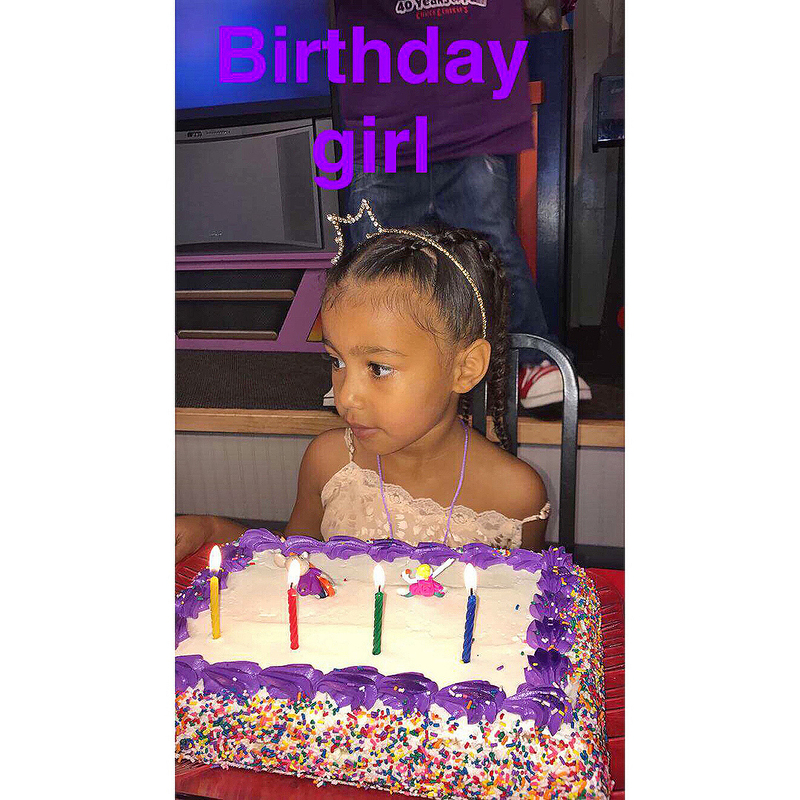 North’s parents, Kim Kardashian and Kanye West, previously threw a party for their firstborn at Chuck E. Cheese on June 15, where North wore a crown and a pale pink dress for the occasion. That party proved to be relatively low-key compared to North’s extravagant first birthday party in 2014 — which was referred to as Kidchella, modeled after the popular Coachella festival — and her second and third birthday celebrations, which were both at Disneyland. That wasn’t all the Kardashians had in store for their next generation of trendsetters. On June 17, North and Penelope were each gifted a Pomeranian pup, which Kim cheekily referred to as “sister puppies.” Penelope named her pooch Honey. Kim and Kourtney planned Saturday’s get-together at the perfect time, right in the middle of their daughters’ birthdays. North turned 4 on June 15, and Penelope will turn 5 on July 7.